In Nottingham Prison, the inmates are book fiends. As part of a recent investment, the prison—deemed one of London’s “most challenging” correctional facilities—spent £1.4 million on a specialized drug testing machine. Apparently, the machine was worth the expense: not only did it detect a drug-smuggling operation, but it also gave us the wild story of just how mind-blowing Harry Potter can be. When the results came in, authorities determined that the inmates weren’t just hooked on reading. The newly-purchased machine detected a “spice-like substance” sprayed onto the pages of J.K. Rowling’s childhood classic (and no, we’re not talking cardamom). Officials believe the book was doctored outside of the prison and then sent to inmates, a gift as seemingly—and falsely—innocent as Harry Potter fanfiction. By the time guards detected the deception, four hundred pages were missing from the volume. Authorities suspect inmates smoked the missing pages—guess the book was so good, they burned right through it. Prisons Minister Rory Stewart has sworn to step down if prison conditions fail to improve. Although six of the ten prisons involved in the reforms have markedly changed their conditions, Nottingham remains one of two problem prisons, each “dangerous, disrespectful and drug ridden.” Yup, definitely the last one. One crucial plot point is missing in this story: exactly which book was it? For the sake of a neat ending, let’s just say Harry Potter and the Prisoner of Azkaban. We know Kim Kardashian as a social media superstar—famous for being famous, a self-renewing resource of celebrity. She’s a bit like a real-life Barbie; it’s just that instead of going to medical school, launching herself into outer space, and tending to wounded animals (Barbie must have a fortune in student debt), Kardashian-West is a socialite, reality TV star, artist, entrepreneur, and cultural icon. We’d call her a wearer of many hats, except there just aren’t that many hats that Kardashian-West would deign to wear. Her latest look—advocate and contributor to prison reform—has the power to enact real social change. In fact, it already has. 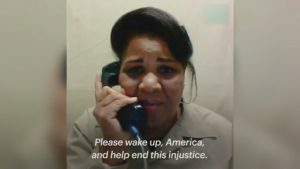 In 2018, Kardashian-West intervened in the case of Alice Marie Johnson, a sixty-two-year-old great-grandmother serving life in prison for a nonviolent drug offense. Johnson became involved in the drug world after her divorce and the chain-reaction of misfortunes that followed: gambling addiction; bankruptcy; unemployment; and, worst of all, her son’s untimely death. Though Johnson never handled drugs directly while working for a cocaine-trafficking ring, she did pass along coded messages to facilitate the transactions. When the police caught onto the operation, ten co-conspirators turned her in. As a result of their cooperation, each received reduced sentences ranging from no time at all to ten years’ imprisonment. I felt like a failure… I went into a complete panic and out of desperation, I made one of the worst decisions of my life to make some quick money. I became involved in a drug conspiracy. Ms Kardashian, you are quite literally helping to save my life and restore me to my family. I was drowning and you have thrown me a life jacket, and given me hope that this life jacket I’m serving may one day be taken off. And she had plenty to be grateful for. On May 30, 2018—Johnson’s birthday—she was officially free. Her story is a gift that will now reach so many millions more through her book and film. I hope Alice’s case is just the beginning of a movement to help those left behind. I am invested in continuing to support Alice and this cause. As we’re all aware, the United States prison system is a mess with no clean up in sight. If you’re disillusioned with the prison system as of current, I’m sorry to say, this article will only depress you further. A prison in southern Mississippi and the Mississippi Department of Corrections are being sued for restricting inmates’ access to free books. Law firm DLA Piper is arguing that a relatively recent policy change at the South Mississippi Correctional Facility violates the inmates’ First Amendment rights: only religious books are freely accessible to the inmates. Big House Books is a nonprofit that sends books and other educational materials to inmates in the Mississippi correctional system, but the prison has been marking the books “return to sender.” When questioned by the nonprofit, the facility said only religious books could be mailed for free to the inmates, while all other books should be donated to the prison library or purchased by the inmates themselves. If you ask me, knowledge should be available to all, regardless of religious affiliation. Additionally, how much do you want to bet that in this case, “religious” means specifically “Christian”? In Rock County, Wisconsin a book drive is underway to collect books for inmates at the Rock County Jail. They’ve currently collected over 1,700 books, with over fifty people contributing to the drive. Major proceeds for the book drive have been funded by the inmates themselves and the sheriff’s office. The goal is to help provide a better environment for prison staffers as well as helping to rehabilitate and prepare the inmates for their eventual release and re-assimilation into society. Some of the books deal in parenting, spiritual and religious guidance, and various self-help practices. The sheriff’s office recently put out an appeal to citizens to donate books since the jail’s current library was outdated and its books were in poor condition. The jail is only accepting softcover books, as many other varieties could potentially cause liabilities for the jail and its inmates. For instance, magazines contain staples which can be used to create stick-and-poke tattoos which cause infection and hardcover books are too difficult to search for forbidden items, as well as the fact that searching these books could likely cause damage to the book itself. Any hardcover book donations are being sent to second-hand bookshops where they are likely to find other well-suited homes. It’s certainly nice to witness humanity’s good nature bestowing the gift of reading to those who do not currently have access to outside world!